Dragon Shield sleeves are designed to protect your gaming cards against the wear and tear of play use. 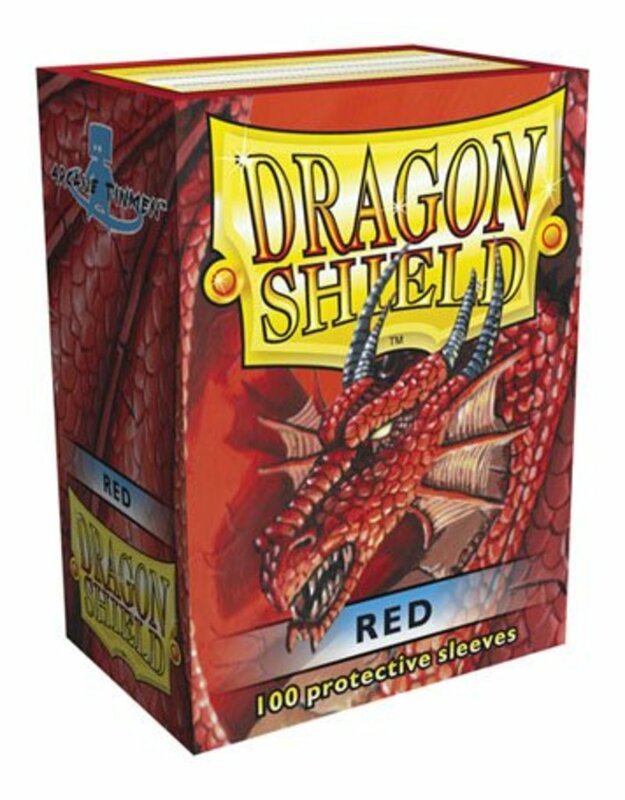 Dragon Shield are tough polypropylene sleeves made to fit both casual and competitive play. Every box has a printed label for labeling your favorite decks. All boxes are made of sturdy cardboard with original dragon artwork. All sleeves are completely PVC free. The box design fits 75+ gaming cards including sleeves for easy storage of your decks. 100 sleeves per box.